Stay up-to-date with our many communities: Here’s what’s been happening this month in the intersecting worlds of pro-Israel and the LGBTQ community! July was a historic month for activism in LGBTQ Israel. Things were set in motion when the Knesset refused to strike down an anti-gay surrogacy bill. Jerusalem Post. The Jerusalem Open House set up a protest tent in front of Prime Minister Netanyahu’s house, calling for LGBTQ equality. Facebook Live. 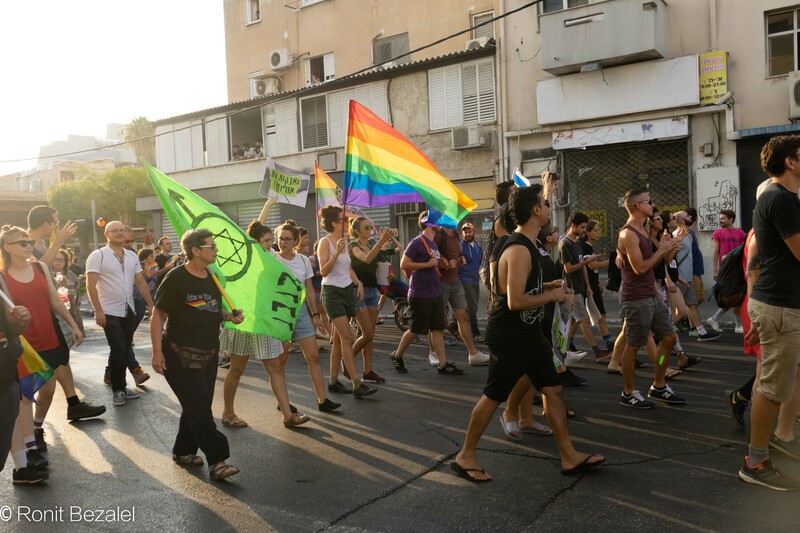 March for Trans Visibility – Tel Aviv, July 22, 2018.